All the rooms are very nice and clean. Linen and also towels are free. The owner very cares about to have satisfied guests. You always have coffee and tea for free. You can use any space in the house - for example to meet your friends in the living area, have a drink and chatter together. The owner has own flat in different part of the house - you dont have to worry about your privacy. You can check-in at any time, but please, let us know by email your approximate time of arrival. Very fast growing part of Prague - bog investments for environment of the quater. New build up, good civic amenities. Villa Venus is surrounded by villas and family houses, but also very close to the main road. In case of no show or if you cancel less than 24 hours prior arrival, we will ask you to pay us 100% of the 1st night rate. 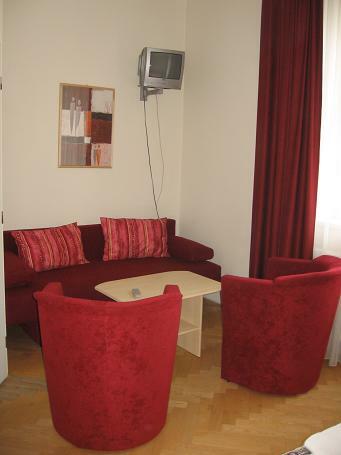 It is located in wider centrum - 10 minutes by public transport. Is very good accessible. The bus stop is right next to the house. The BUS goes to the city every 3 minutes. From Main Train Station - metro red line C - 2 stops to Nádraí Holeovice and than BUS no 102 or 210 take 2 stops to Rokoska. From Main Bus Station - Florenc - metro red line C - 3 stops to Nádraí Holeovice and than BUS no 102 or 210 take 2 stops to Rokoska.